Win a gift basket filled with gift certificates and merchandise from area businesses! 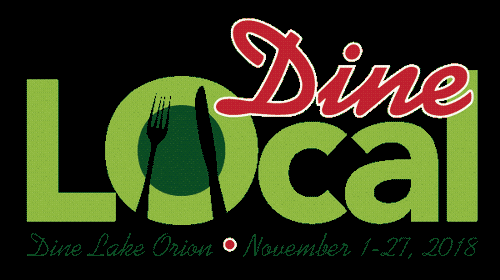 From November 1 - 27, 2018, when you visit a restaurant in the Lake Orion area, fill out a Taste Tracker. Attach your receipts and turn in the Taste Tracker to the Lake Orion DDA or Orion Area Chamber of Commerce office no later than November 27, 2018 to win! Winners will be announced on\ Saturday, December 1, 2018 before the Orion Lighted Parade in downtown Lake Orion.